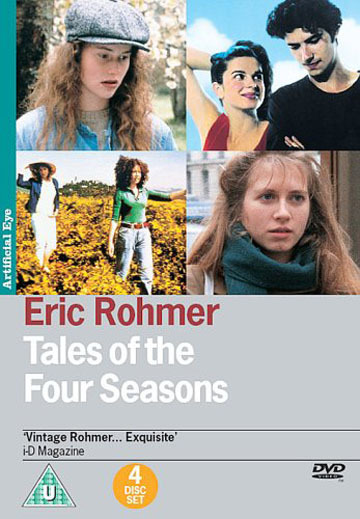 Eric Rohmer's charming, witty and exquisitely observed quartet of romantic comedies are among the veteran director's most popular and acclaimed works. One of the leading figures of the French nouvelle vague and a contemporary of Jean-Luc Godard, Francois Truffaut and Louis Malle, veteran filmmaker Eric Rohmer is firmly established as one of world cinema's greatest and most enduring directors. This quartet of romantic comedies is among his most popular and enduring works.